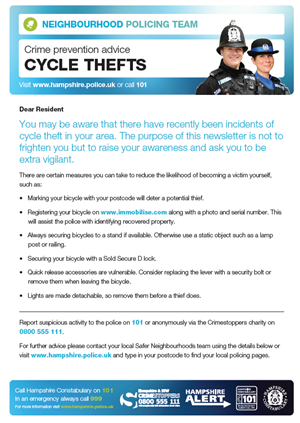 Fourteen bicycles have been reported stolen from the grounds of Bay House School since 29th January. In the majority of cases, the bikes were left unlocked. If your child cycles to school, please remind them to lock their bicycle to a cycle rack or other immovable object. This will act as a deterrent to would-be thieves.